Aerosmith guitarist Brad Whitford has confirmed the band are working on new music. The guitarist says the Boston rockers have several options when it comes time to release the tune. Whitford’s comments about new music follow similar statements made by Perry in March, when he revealed that the Boston band had postponed plans for a US tour later this year in order to return to the studio to work on a new album. 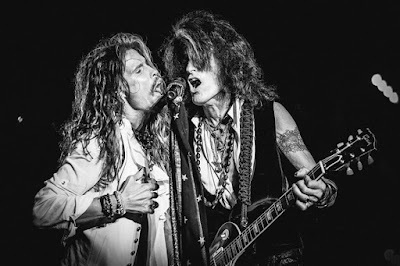 Aerosmith launched what was initially billed as their farewell tour, “Aero-Vederci Baby!”, at Park HaYarkon in Tel Aviv, Israel on May 17. The group recently wrapped up a European tour and will head to South America for more shows next month, including an appearance at Brazil's Rock In Rio on September 21.